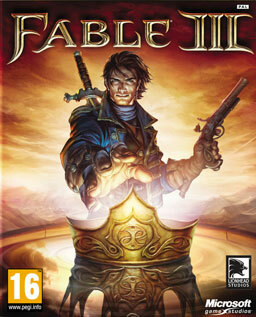 Fable 3 is currently free on Xbox Live Marketplace. As spotted by an eagle-eyed Eurogamer forum user, Lionhead’s action RPG can now be downloaded even if you don’t have any Microsoft Points in your account. Simply select “use Microsoft Points” when prompted, to start downloading the game. Unfortunately, you have to be an Xbox Live Gold member to take advantage. Silver members will be asked to fork out 3600 MS Points. It’s unclear right now whether this is a mistake on Microsoft’s behalf, or a treat ahead of this afternoon’s E3 conference. We’ve heard nothing from Microsoft. Last week, Lionhead announced that Fable Anniversary – a HD remake of the original game – would be coming to Xbox 360 Holidays 2013.